The experience of the waking state is seen in dreams. The Taijasa is nourished by finer food than the Vaisvanara. And, ignorance is not the natural characteristic of the self. All impressions due to the experience of high and low attributes of the relative universe are centred in the subtle body where they are stored. Swami Nikhilananda explains that the self that functions in the 'waking state' is Vaisvanara, which in the 'dream state' is Taijasa and in the 'dreamless-sleep state', Prajna; Viraj (matter) unites with this self identified with Indra in dreams when there is no distinction between the experiencer and the object of experience. In deep sleep the Atman, limited by Prana or vital breath, is called Prajna. The subtle body in which the impressions that are stored in the body owing to the contact with the serums filled in the Hitā undergoes modifications under the influence of past merit and demerit, and in dreams falsely manifests itself as impressions in a variety of forms. When ignorance is eliminated and knowledge reaches its perfection, the state of identity with all ('liberation') is attained. ↑ "Sanskrit Dictionary". Spokensanskrit de. ↑ Stephen H. Phillips. Yoga, Karma and Rebirth. Columbia University Press. p. 342. ↑ Ram K. Piparaiya. Ten Upanishads of Four Vedas. New Age Books. p. 121. ↑ Subodh Kapoor. Encyclopaedia of Upanishads and Its Philosophy. Genesis Publishing. p. 543. ↑ R.D.Ranade. A Constructive Survey of Upanishadic Philosophy 1986 Ed. Bhartiya Vidya Bhavan. p. 33,89,185. 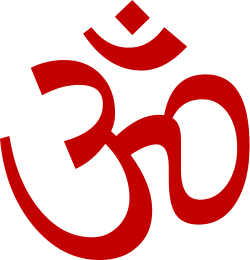 ↑ Brihadaranyaka Upanishad. Advaita Ashrama. p. 198,412,457. ↑ The Principal Upanishads. Courier Dover Publications. p. 225. ↑ Brihadaranyaka Upanishad. Advaita Ashrama. pp. 457–459.